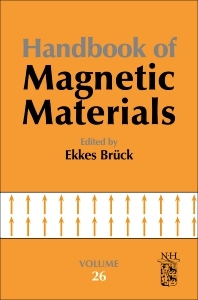 Handbook of Magnetic Materials, Volume 26, covers the expansion of magnetism over the last few decades and its applications in research, notably the magnetism of several classes of novel materials that share the presence of magnetic moments with truly ferromagnetic materials. The book is an ideal reference for scientists active in magnetism research, providing readers with novel trends and achievements in magnetism. Each article contains an extensive description given in graphical, as well as, tabular form, with much emphasis placed on the discussion of the experimental material within the framework of physics, chemistry and material science.